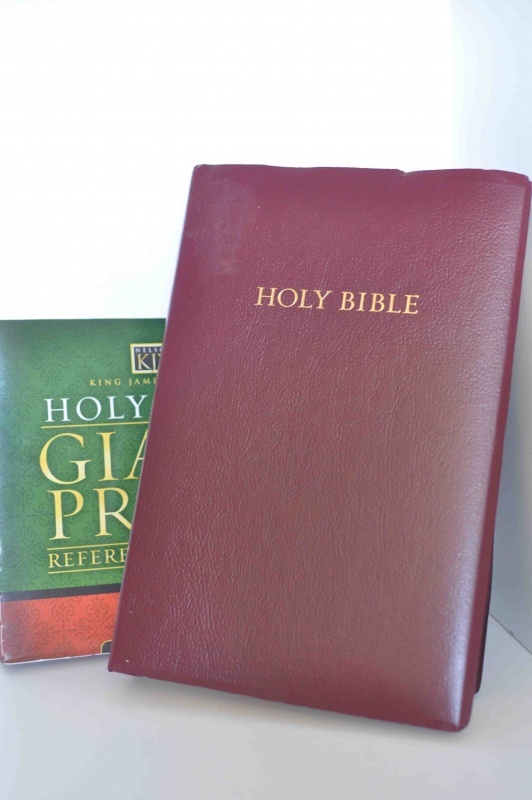 This Bible combines special comments by E. G. White with the text of the King James Version. 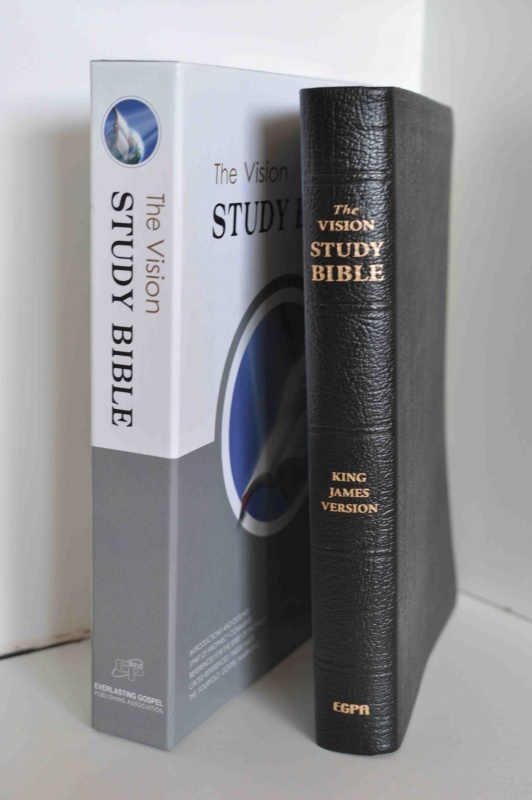 In addition, this Bible is replete with a full array of Bible study aids, including a complete set of Chain Reference Bible Studies, a section on Prophetic Symbols, and sections on the prophecies of Daniel and on the Bibles teaching about the Sanctuary. This Bible also includes what any good study Bible offers, such as book introductions and outlines, an extensive concordance, an abundance of cross-references, and wide margins for personal notes. No other study Bible offers more features for personal Bible study and for sharing with others than does The Remnant Study Bible. 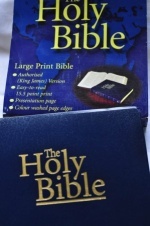 Power-filled features include: E. G. White Comments, King James Version, Bible Chain References for Bible Studies, Approximately 45,000 Scripture Cross References, Red-letter Edition, Book Introductions and Outlines, Chapter Subtitles, Parables and Miracles of Jesus, Color Images of the Sanctuary, Prophetic Symbols and Maps, Concordance, E.G. Whites Companion Guide, Read the Bible in a Year Guide, Wide Margins for Notes, 2 Ribbon Markers, High-quality Smyth Sewn Binding. 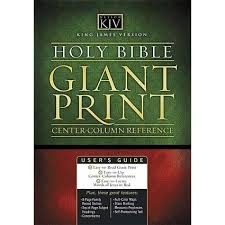 Experience a whole new level of visual comfort and biblical study with Thomas Nelsons Giant Print Reference Edition Bible. 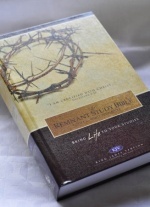 This Bible is filled with references and study aids to strengthen your Bible reading. Plus, it features giant print type making reading more enjoyable than ever. Ideal for individual study, teaching, and ministry work, this trusted edition of the Holy Bible will enhance your time exploring the beauty and meaning of Gods Word. Features include: Durable and practical binding, word of Jesus in red, stars marking messianic prophecies, two column typesetting, read along reference and translation, and giant print concordance. Celebrate special occasions with the gift of Gods Word. Choose the perfect gift for any celebration in lifefrom graduation, confirmation, and awards to family and friendshipswith Thomas Nelsons Gift Bible. Select from a variety of colors and bindings, all featuring bright, clean, and easy-to-read pages. 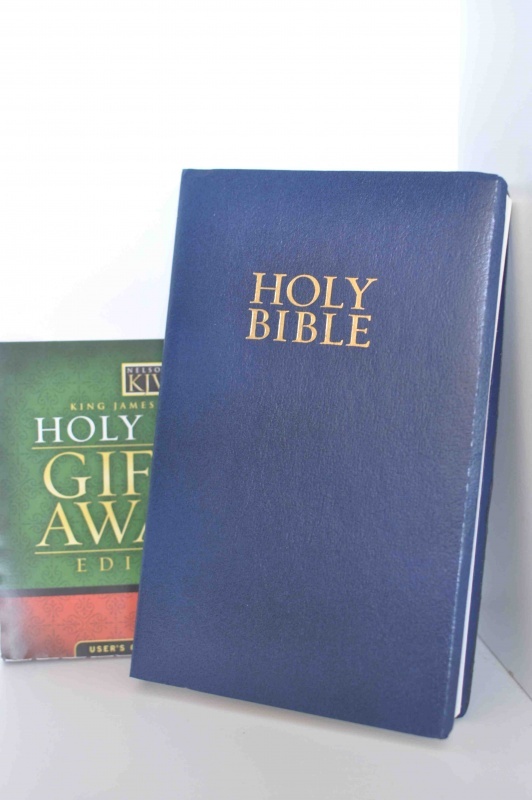 Personalize your gift with the recipients name on the cover for a Bible that will be cherished for years to come. Give the gift of Gods Word... beautiful meaning, quality craftsmanship, and a timeless treasure. 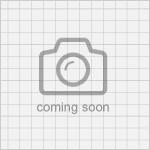 Features include: Durable and practical blinding, personal presentation page, word of Jesus in red, illustrated dictionary concordance, and full color maps. 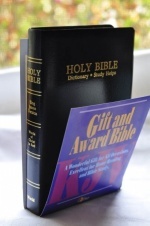 Celebrate special occasions with the gift of Gods Word. Choose the perfect gift for any celebration in life from graduation, confirmation, and awards to family and friends with Thomas Nelsons Gift Bible. Select from a variety of colors and bindings, all featuring bright, clean, and easy-to-read pages. 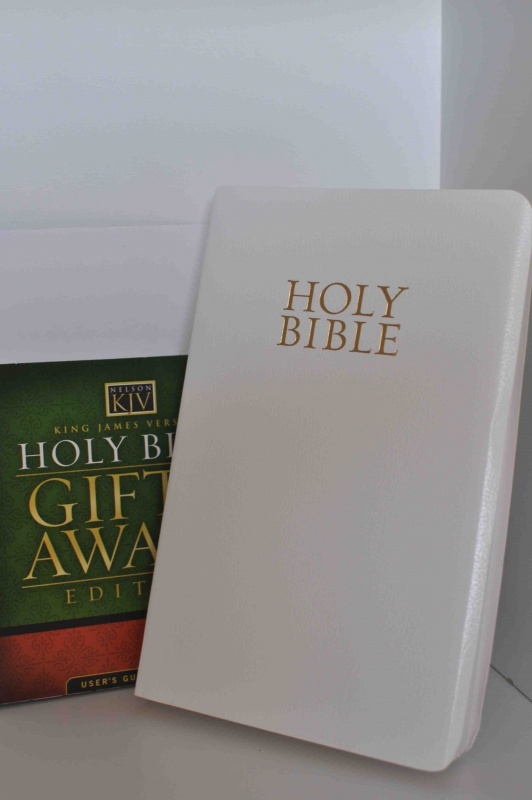 Personalize your gift with the recipients name on the cover for a Bible that will be cherished for years to come. 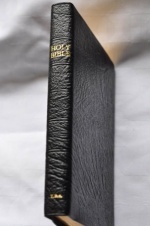 Give the gift of Gods Word... beautiful meaning, quality craftsmanship, and a timeless treasure. 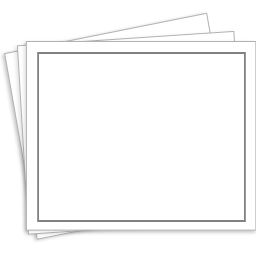 Features include: Durable and practical blinding, personal presentation page, word of Jesus in red, illustrated dictionary concordance, and full color maps. 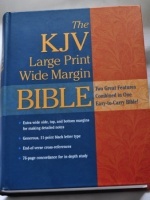 Large print edition in one volume. Translated out of the original tongues and with the former translation diligently compared and revised by his majestys special command. 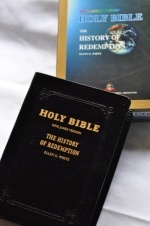 Authorized King James version. Easy-to-read 15.5 point print. 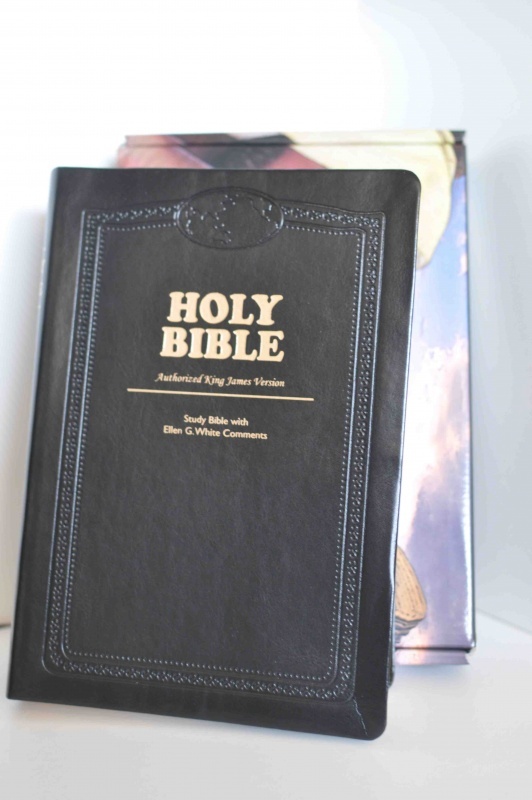 Nelson offers its classic King James Version in a large print format, perfectly suited for those who want a Bible that is comfortable on the eyes. 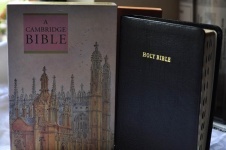 This large print Bible is offered in two bindings. A j-wrap leatherflex edition is available for economy and two colors of bonded leather for variety and gift-giving. 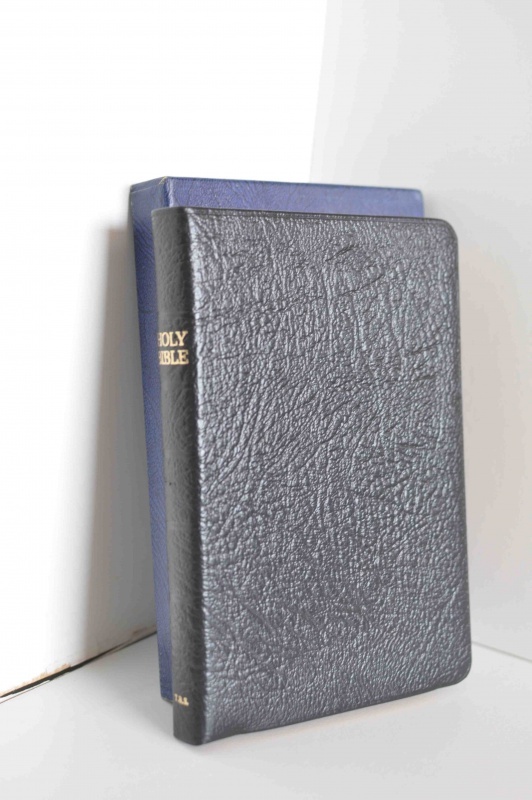 Set in 18-point type, each line a quarter of an inch high, this complete flex-cover Bible will make reading Scripture a rediscovered joy for many who are visually impaired. 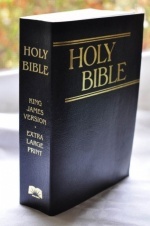 Large print King James Version of the Bible, with a nice wide margin for notes. Pocket sized Bible of the NT with Psalms and self pronouncing texts of important words. 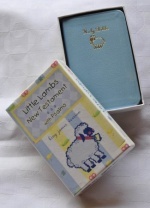 Great gift for children (baby blue coloured cover) in KJV version.